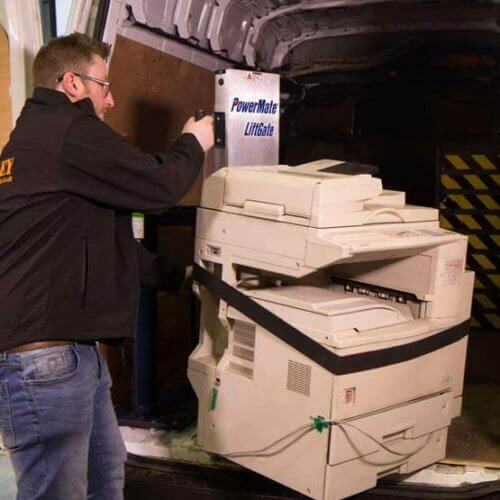 The removals industry often set the standard for health and safety in the workplace, due to the simple fact that by virtue, moving goods from one place to another is a human task with risk involved in each movement. As properties are often multi-level, with varying types and sizes of staircases permitting navigation from one floor to the next, lifting heavy furniture up and down stairs forms a core part of the role. This tends to amplify the risk of injury and thus, extra care and attention is required. 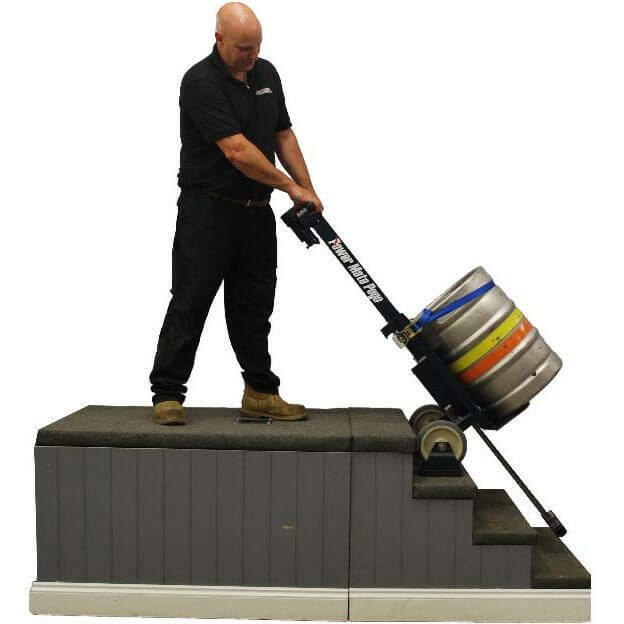 Stanley stairclimbers are designed to easily take care of all types of stairs, lifting the various household or office products at the touch of a button. 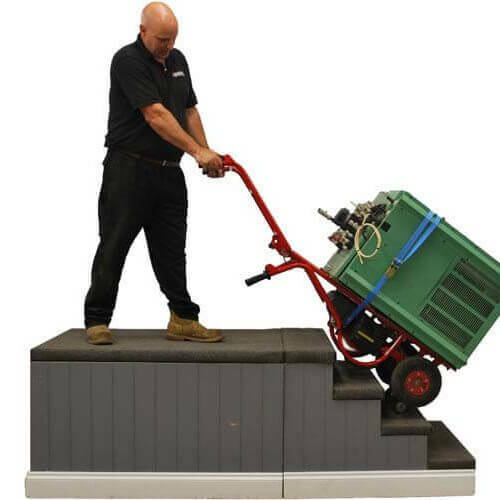 The first product we offer that is ideal for the removals industry is the Sprinter, which is a compact, ergonomic and ultra-lightweight powered stairclimber, capable of climbing up to an impressive 48 steps per minute. 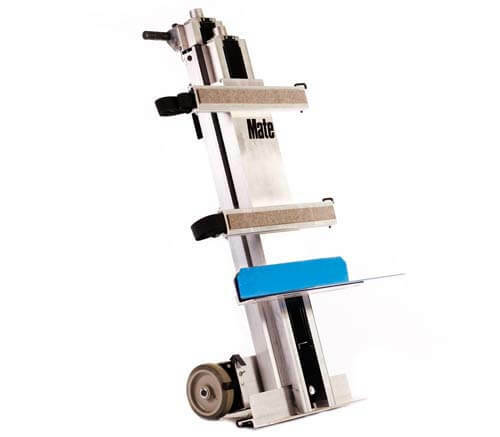 With a weight capacity of 110kg-170kg, this model is of lightweight aluminium construction. 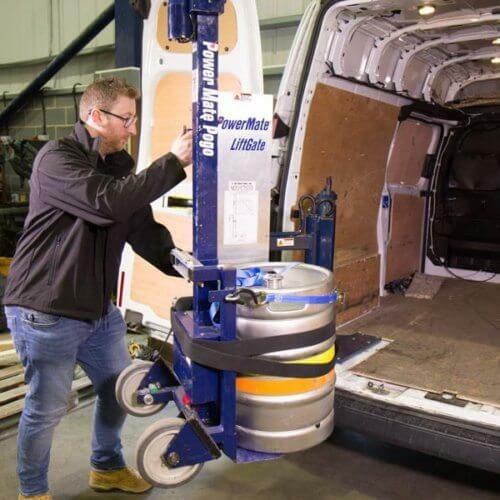 It’s light enough to be carried, and small enough to fold down easily into the boot of a van, truck or lorry, depending on your fleet. 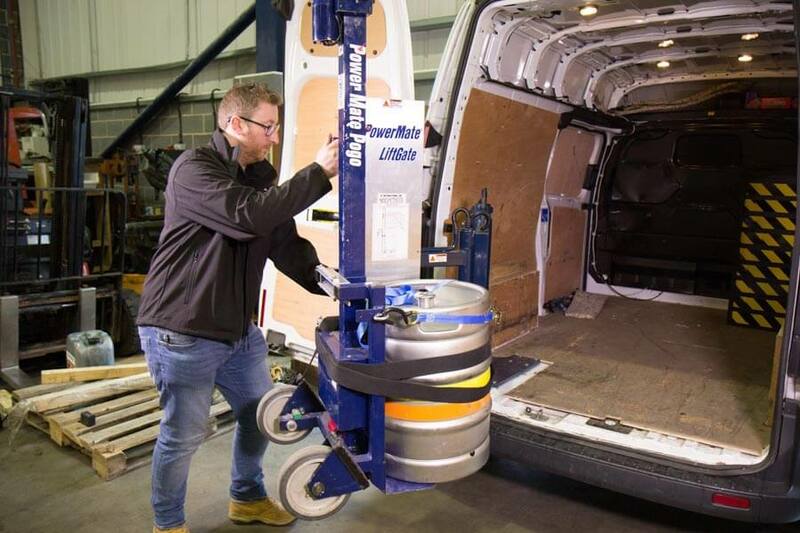 An ideal solution for moving heavy boxes, chests of drawers, wardrobes and more. 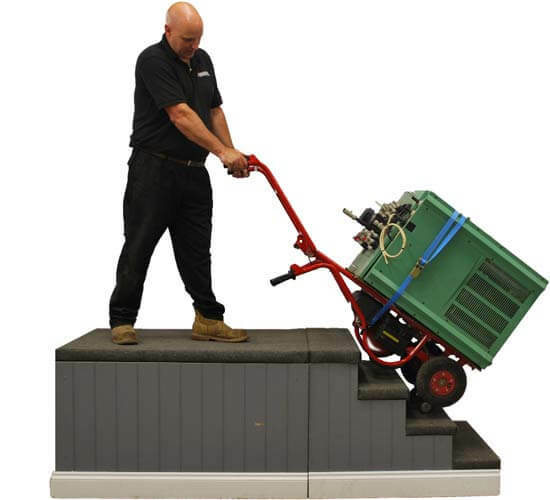 The second powered stairclimbing solution we present is the PowerMate Pogo. 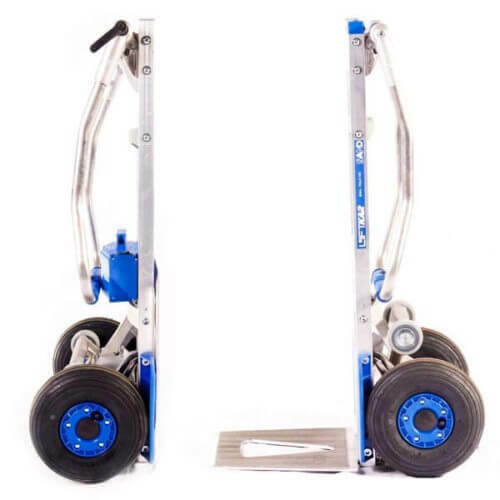 This light-duty motorised hand machine is commonly used to move slightly smaller items, such as bedside cabinets. 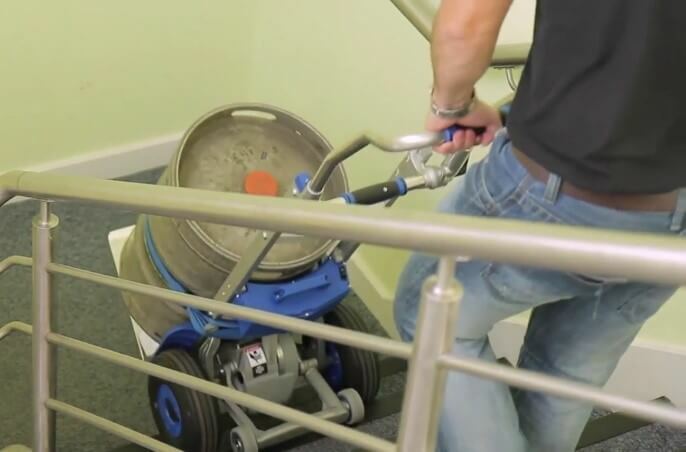 Using a single operator, this machine guides loads up to 100Kg up and down stairs with minimum fuss which in turn eliminates property and product damage. 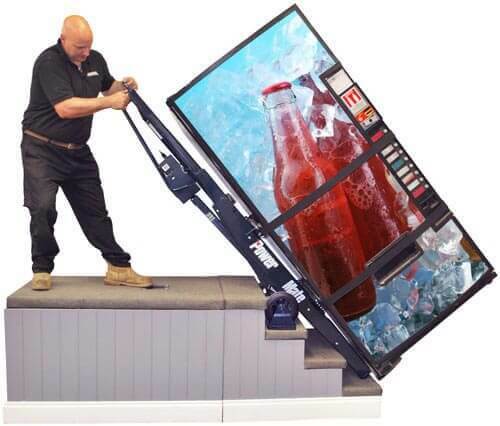 Another viable solution for the removals industry is the SC series. 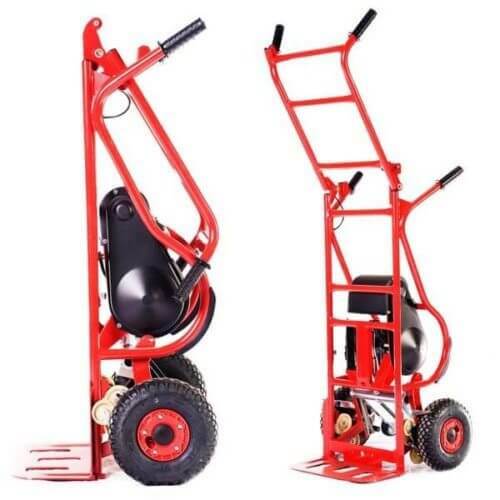 Brightly coloured red and capable of folding down, this machine is good for people who are on the go. 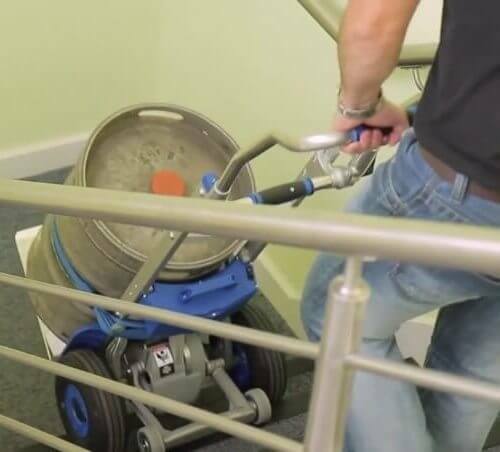 It also benefits from in-transit charging and lifts loads up to 310Kg, which makes it the strongest portable stairclimber we offer. 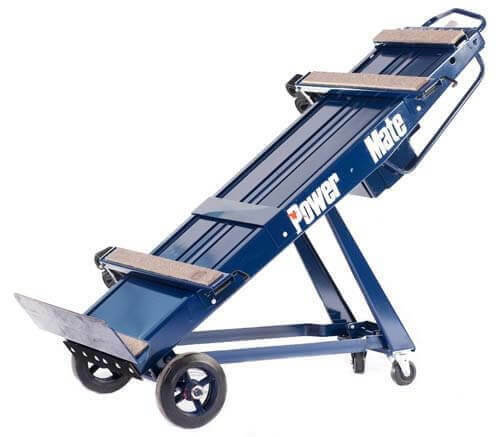 If you are looking for a solution which handles much heavier loads then the PowerMate series is recommended. This line of models can carry a whopping 680Kg and are more suited to lifting hefty office or gaming equipment. 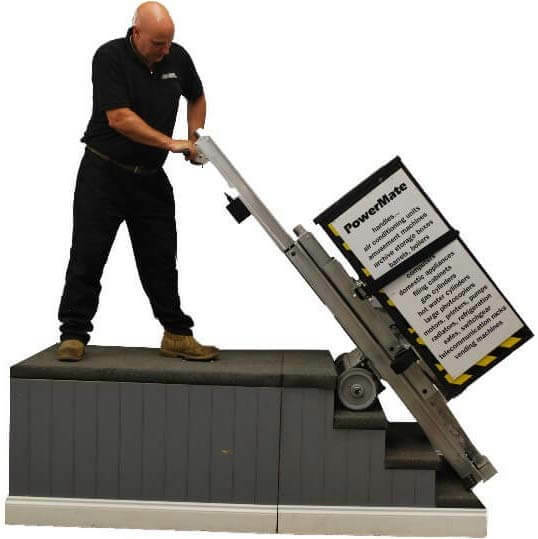 Some models are even customised with a moveable toe plate, which allows the operator to guide the load through the stairclimbing process and onto a surface in a single motion. 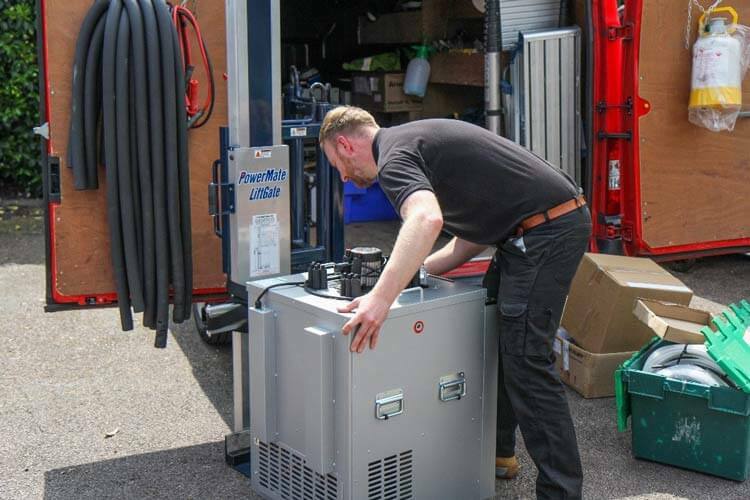 All the above solutions are brilliant for the removals industry however to optimise the efficiency of vehicle loading we would recommend a combination of stairclimber with the PowerMate LiftGate. 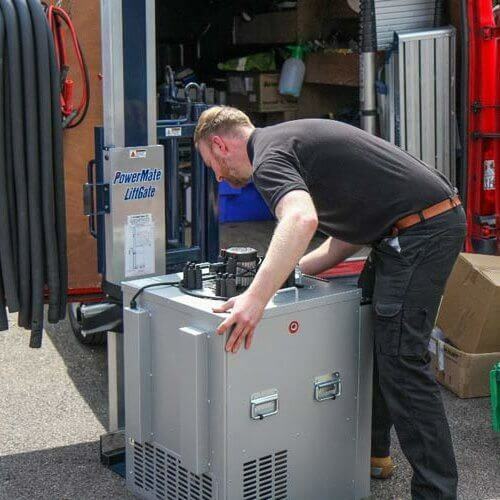 This machine can carry up to 225Kg and can be bolted to the back of a van or truck within 4 hours. 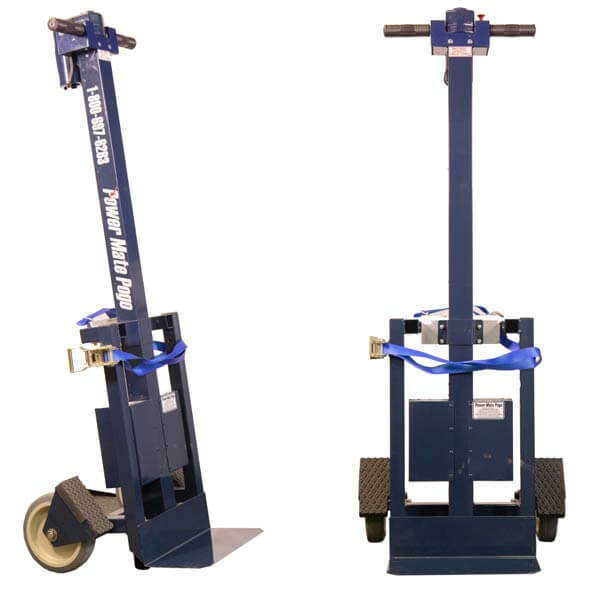 It’s very easy to use, all the operator needs to do is press a button and move to guide products in and outside of the vehicle. 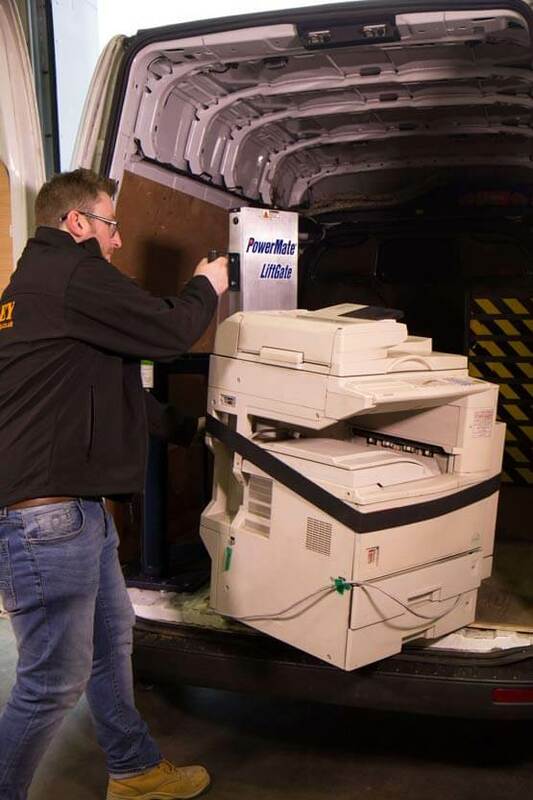 At the same time, its one-man operation system delivers a saving on labour costs.